In a cooking rut? Want dinner with a lot of flavour, but not a lot of work? 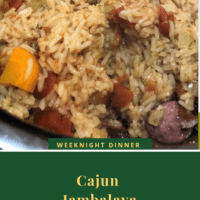 This Instant Pot Cajun Jambalaya is a decadent comfort food that often gets overlooked as a weeknight meal. Easily made in under 30 minutes, it’s just what you need when you need dinner in a hurry. Now that being said, it tastes so good it’s worth adding to your weekly Meal Plan. Because it’s so flexible it’s an excellent choice when you need to shop your fridge or freezer too. Andouille Sausage provides a lot of the unique Cajun Flavour so use that if you can find it. Smoked Sausage, preferably spicy will do in a pinch, and so will Mexican Chorizo, though the flavour will definitely be different. 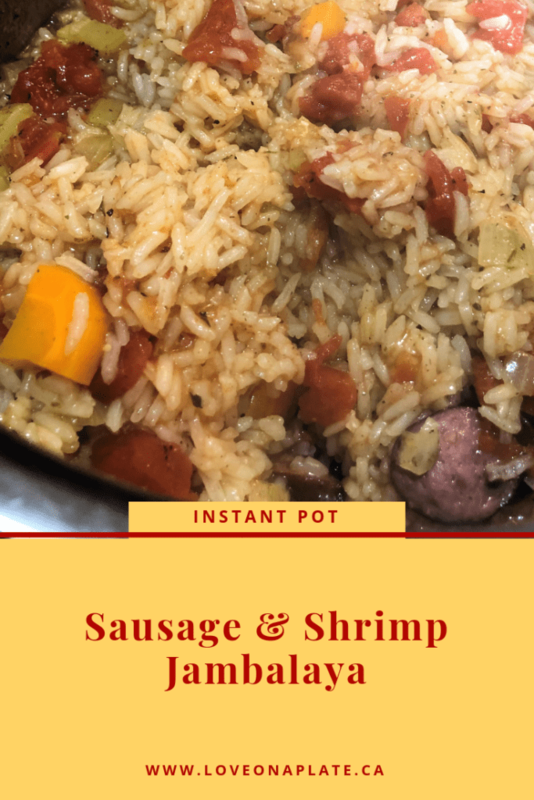 Shrimp and Chicken are the more traditional add ins, but you can honestly use any type of meat you would like, especially when using the Instant Pot. 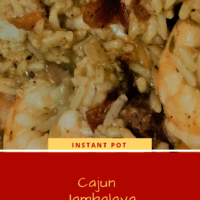 There are many excellent Cajun Seasoning Blends on the market, and I often use them with great success. I also like to have the flexibility to make my own. 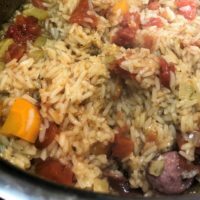 This is my recipe for made from scratch Cajun Seasoning if you want to try it yourself. Want to share great cooking ideas? Learn new techniques? Get Menu Plans? Watch Quick Cook or Meal Prep Videos? Join the Love on a Plate Community here. Sprinkle Cajun seasoning over vegetables and stir. Add in sausage & chicken and cook another 3-4 minutes until lightly browned. It doesn't need to be cooked as the pressure cooker will do that when the rice cooks. Pour the diced tomatoes over top of the cooked meat and vegetables. Don't stir. Pour in the chicken stock, and then the rice. Do NOT stir. This layering stops the rice from settling to the bottom and causing it to set off the BURN warning. Place the lid on the Instant Pot, close it and set the steam valve to seal. Cancel the Saute function and set the Instant Pot to Pressure Cook on High for 9 minutes. When time is up, cancel the pressure cooking setting and immediately open the steam valve to do a Quick Release of all the pressure. Open the lid, stir the rice which will be on top to combine with the meat, vegetables and tomatoes. Now place the raw shrimp in the pot, stir and replace the lid. Let it sit 3-5 minutes until shrimp are cooked and a nice light pink colour. Serve sprinkled with diced green onions or parsley if desired.